Former doubles world No. 1 Gigi Fernandez of Florida was recognized for her generous and longtime service to the sport of tennis by the International Tennis Hall of Fame in a special awards presentation at the USTA Annual Meeting last weekend in Austin, Texas. The Hall of Fame member was presented with the Tennis Educational Merit Award. “With these special awards, it is truly my privilege to be here to recognize individuals who have demonstrated an outstanding and selfless commitment to fostering participation and growth in the sport and who exude the character values that make tennis so special,” said Todd Martin, International Tennis Hall of Fame CEO. Fernandez was inducted into the International Tennis Hall of Fame in 2010 in recognition of a remarkable career highlighted by 17 major titles, two Olympic Gold Medals, and reaching the world No. 1 ranking in doubles. In her post-playing career, Fernandez has made a concerted effort to share her knowledge and passion with tennis players and tennis teachers. She has been involved in volunteer board service for the USTA and the International Tennis Hall of Fame, and has embraced roles to grow participation in tennis across all age, gender, and ethnic backgrounds. Fernandez has served as a tennis director at the club level and has coached accomplished high school teams, college teams, and WTA players. Additionally, Fernandez has developed several innovative new programs for teaching tennis to youth and adults. 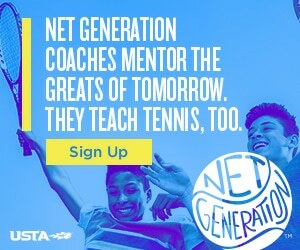 Most recently she has connected with a national network of individual club players by delivering useful doubles strategy tips via online training tools and in-person clinics. In this new work, Fernandez says she has embraced the sport from an entirely different perspective and rediscovered her passion for tennis. Other award winners were Bobbie Farley of Cincinnati, Ohio, as the recipient of the 2018 Samuel Hardy Award, which is presented annually by the Hall of Fame to a dedicated USTA volunteer; longtime USTA volunteer Don Tisdell was honored with the 2018 Samuel Hardy Award, in a posthumous recognition; and Intercollegiate Tennis Association CEO Tim Russell was presented the 2018 Tennis Educational Merit Award. To read the full release go to www.tennisfame.com.